Is it possible to change the clay material by heavier valve guides? The answer is a definite “yes”. With the “Stomvi” Dynasound system. The new valve guide system “DynaSound” the instrument gives a gritty, centered tone. The high quality valve guides are coated onto the valve pads with plastic in order to ensure smooth running. Moreover, it is possible to change the self-weight by small brass or copper weights. This also the tonal character of the instrument changes. The weights differ depending on the deposit as follows: . 1 3 grams net of deposits . 2 9 grams of nickel silver deposits . 3 12 grams with brass inlays Of course other combinations are possible. 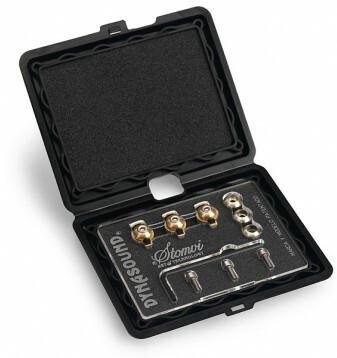 The Dynasound valve guides can be used for all Stomvi-perinet valve instruments!